Today I started cleaning the house. Alex is still a little blah from the vaccines, so we decided to stay in. Once he took a nap Gabe helped me finish cleaning. We went trick-or-treating to two of our neighbor's houses. 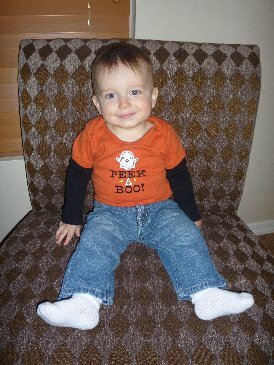 Alex wore a onesie that had "Peek-A-Boo" written on it along with a ghost. We headed back to our house to hand out candy. Alex went to bed around 7:00 p.m., so I headed down to one of our neighbor's until 8:00 p.m. 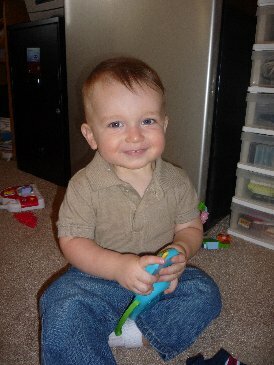 When I returned home, Gabe and I played a few games on the Wii. 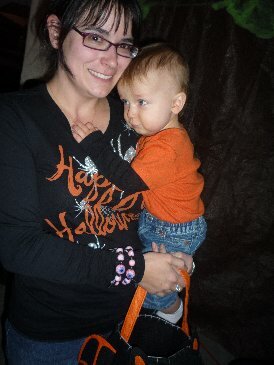 He was not a big fan of trick-or-treating. 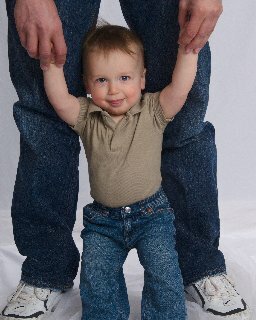 I am still waiting on pictures from Alex's photo sessions. So, I am just now sending out the Halloween cards that I made a while back. 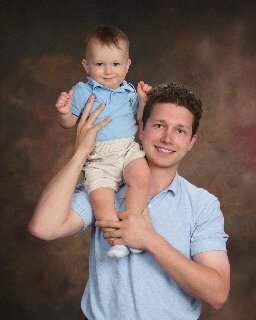 I was going to send his portraits in the card, but it is taking too long to get them. 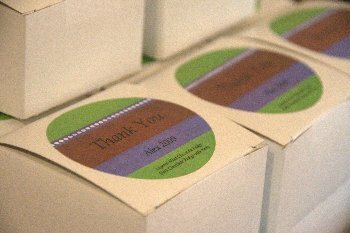 This is also slowing down the mailing of some thank you cards. Graphic courtesy of Pat's Web Graphics. I picked up the new book for my book club today. We are going to read The Master Butchers Singing Club. I still have about 200 pages left of The Lost Symbol. I have to finish it by Tuesday, then I will start on the book club book selection. Today was shot day for Alex. 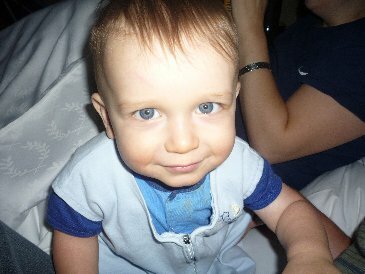 So, he is pretty tired and went to bed at 7:00 p.m. Usually his bedtime is 8:00 p.m. Since he went to bed so early, Gabe and I picked up the house and watched some TV. 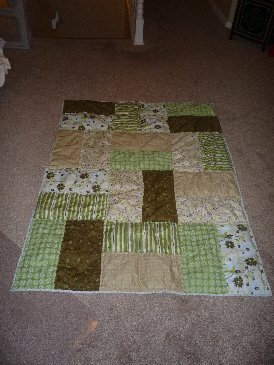 I finished my Grandma's quilt for Christmas. I am almost done with my Christmas shopping. I still need to order something for one of my nephews and make two presents for my brother. I am waiting on a picture to finish my brother's gifts. Today is Alex's birthday. Gabe took the day off of work. 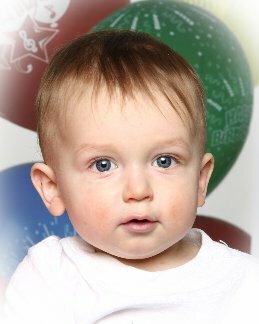 We had an appointment to go to our regular studio with our regular photographer today. Alex was much better today than he was at the new studio I tried. I think we are going to keep going to our regular spot. 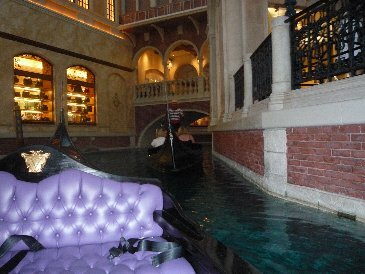 We will actually be headed there again very soon. 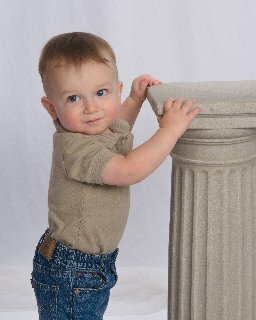 While Brandi and Maddex are visiting us we are going to have their pictures made. I had to get my weekly three allergy shots today. While we were in the city, we had lunch at Famous Dave's. 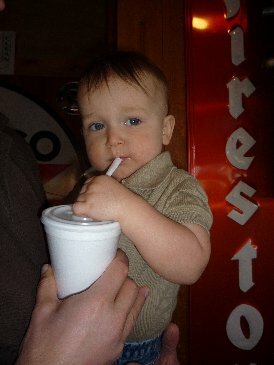 Alex has been drinking out of a straw since yesterday, when we first tried it and he LOVES it. 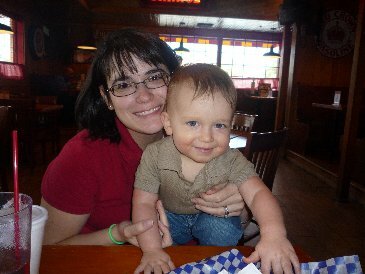 Stephanie and Alex at Famous Dave's. We opened Alex's birthday presents today. He had a lot of fun playing with his new toys. We went to buffet at the casino for dinner. Having fun on his birthday. 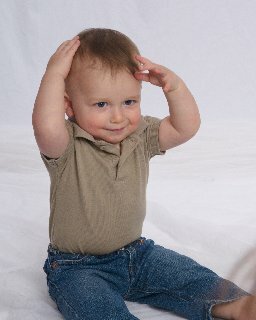 I decided to try a different studio for Alex's pictures. This was not due to being unhappy with the studio I currently use, but more because of a good deal. Alex was not cooperative at this new place. He just didn't seem to like the photographer as much our normal lady. I ordered a few pictures. I will not have them back for a while, but I do have the CD. It was cheaper to order pictures and the CD as compared to just ordering the CD and printing my own pictures. The two below are the best ones. He was crying in the rest and you can even see the tears rolling down his cheeks. Gabe and I are still debating, but we might go back to our regular studio on Wednesday. I missed my book club meeting on Thursday. I was not feeling well. The book was A Tree Grows in Brooklyn by Betty Smith. The book was okay. In my opinion, it would have been better without the last 20% of the book, but that was the entire point of the book. A girl grows up poor in Brooklyn and it goes through her life and the cycle of poverty. I am currently reading The Lost Symbol by Dan Brown. This is not for the book club. However, I checked out a copy from the library and it is due back in a few days and I am almost half way through the book. I had better get reading. Thursday I bought tickets to Legally Blonde the musical. Katie and I going to see it. They went on sale Friday, but because we have purchased tickets before, Gabe had a presale code. On Friday, Gabe, Alex, and I went to Phoenix and stayed in a hotel downtown. We walked around downtown. There is an open air market that was a lot of fun. We had some really good pizza. 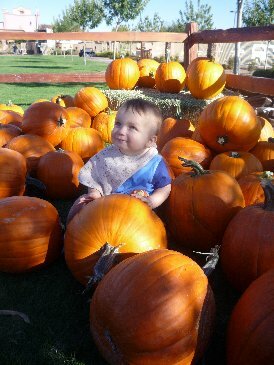 Before heading to Phoenix, we stopped at a pumpkin patch to pick out a pumpkin. Saturday, on the way back home we stopped off at IKEA and a couple of other places. Last night after Alex went to bed we relaxed a little bit. We also watched the movie Adventureland...don't waste your time. We went to the park today. 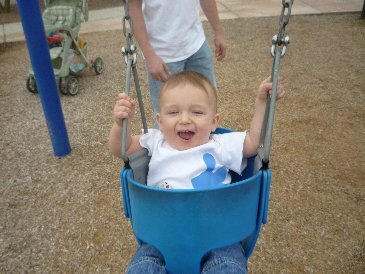 Alex loves swinging. The picture below if from a couple of weeks ago. 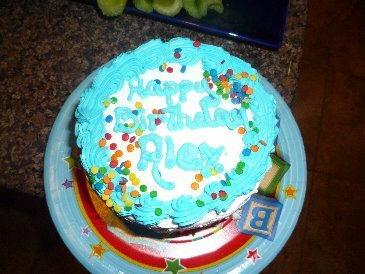 We had Alex's birthday party on Saturday, October 17. 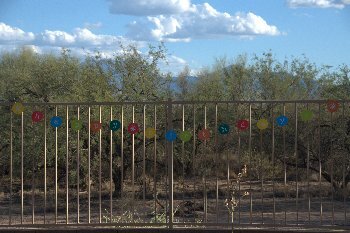 We planned to have the party outside, and I set everything up outside, but the temperature was 102. So the party remained inside until the sun started to go down and there was an ample amount of shade in our back yard. Once the shade appeared, everyone moved outside. I had hired a professional photographer to take pictures at the party. Unfortunately, she was very ill. So, our friend, Kevin, volunteered to take some pictures. He saved the day. 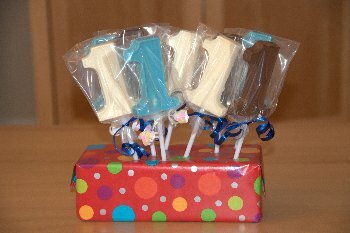 The adults that attended the party received a box of layered mint chocolate fudge and dark chocolate fudge with nuts. This is the "Alex Banner". 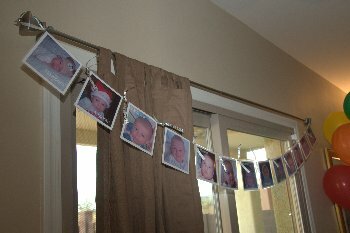 There is a picture for every month of life and I had them laminated. 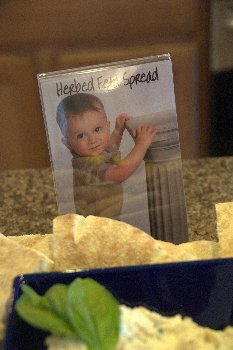 I saw a similar idea somewhere on the web. 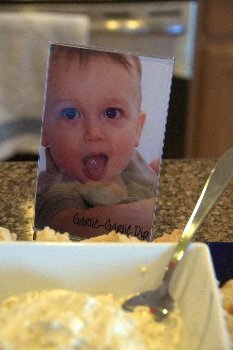 All of the food was accompanied by a picture of Alex letting the guests know what they were about to eat. 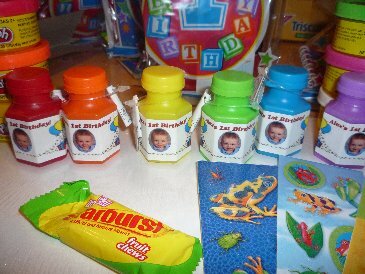 I just edited the pictures in Picasa and then sent them to my local Walgreens for printing. 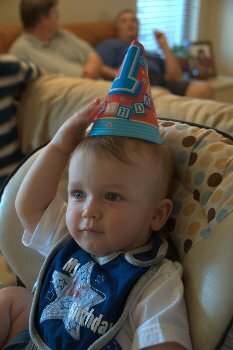 Alex modeling his birthday hat. White chocolate and chocolate one suckers. These were a lot of fun to make. I did eat a few white chocolate chips in the process though. Alex modeling his one shirt that I made just for this occasion. I figure he can wear it all year. 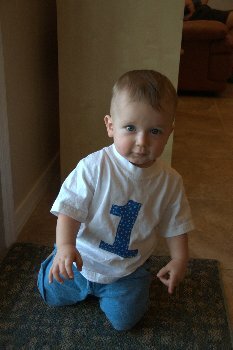 He will be one until his next birthday. If you follow my blog regularly, you might remember that I made Maddex a shirt too. In addition to the ring toss game and the bean bag toss game, there was a craft table. 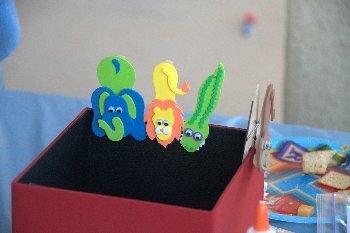 These little guys are magnets that also have a clothes pin so they can grip things. Kevin had to leave at this point. Alex hanging out outside waiting for the cake. 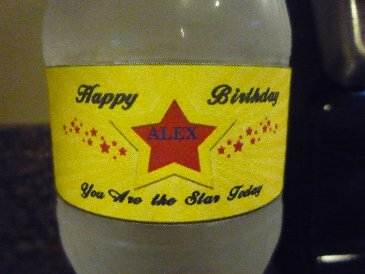 Personalized Alex bubbles that went in the treat bags. Alex digging into his cake. He was a mess! This is photo matte with a picture of Alex. All of the guests signed the matte before leaving. 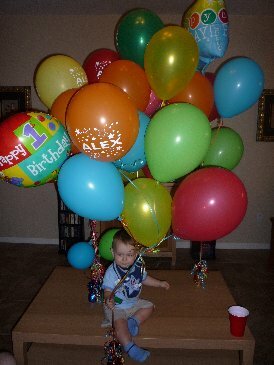 Alex and balloons. He LOVES balloons. The party was fun and we all had good time. Update: I have been told, by a couple of people, that this will work anytime. I have pictures from Alex's party and I will try to post them soon. For now, here is a fun little thing you can all do (provided you have a broom). My niece, Brandi, told me about it today. 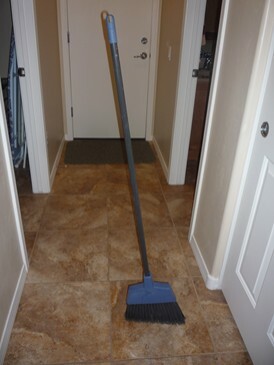 Your broom will stand on its own tonight (and I believe tomorrow). I think this phenomenon is due to another body's gravitational pull on the Earth. Give it a try...I did. Things have been very busy here. 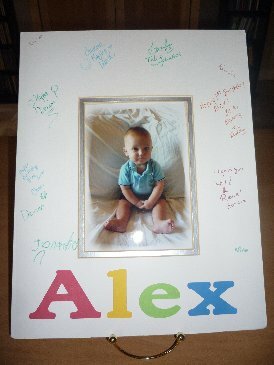 We are doing the last minute preparations for Alex's birthday party tomorrow. I just posted several back entries. Make sure and check them out. 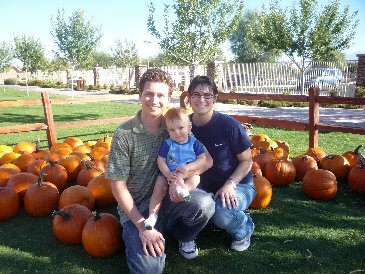 You might need to click on both "September 2009" and "October 2009" in the sidebar to access all of them. I also want to thank Nicolle over at Boyd's Crazy Momma. She sent Alex a lot of cute outfits to help get him through the summer. Yes, it is still summer here (it was 98 in the shade). I still think putting winter coats in stores is crazy this time of year in this location. Anyway, the warm weather is why we will be having Alex's party outside. I will have a lot of pictures later. 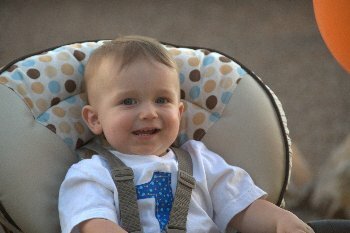 Here are some of the Alex pictures from the photos taken in Las Vegas. So much for relaxing after our trip to Vegas. On Sunday, we went to Oktoberfest. It was fun to walk outside and look at all of the booths. It was even more fun to eat the yummy German food. A friend of mine, DD, and I are planning a fall party. We thought that it would be a fun way to meet some of the other Caterpillar people. 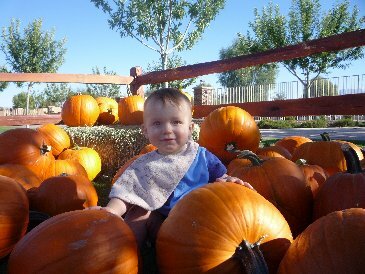 Because of all of the things going on in October, we decided that early November would be a good time to have the party. So, on Friday, Alex and I headed over to her house to plan the party. We have been relaxing at home today. We did go to Sam's to look at a few things and to buy a few things for Alex's party. 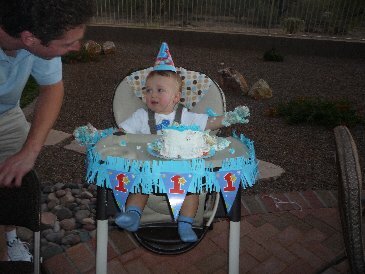 Thursday we decided to have Alex a party on the 17th. 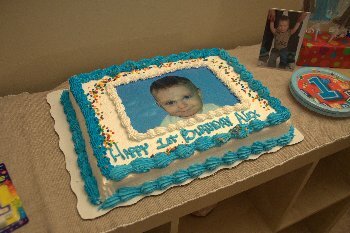 So, we also ordered a cake with his picture on it. I am really excited to see how it turns out. 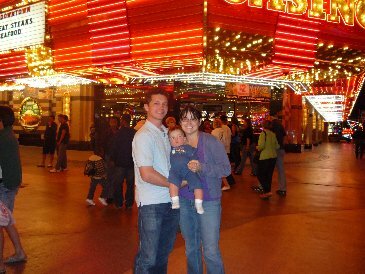 Today we walked around the strip before taking Gabe's parents back to the airport. Their flight left a few hours earlier than ours. 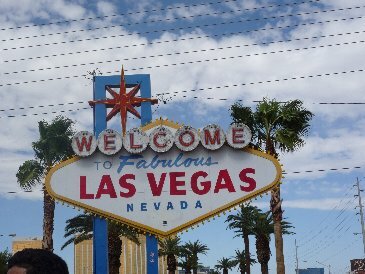 The "Welcome to Las Vegas" Sign. Ironically, this was on our way out. Gabe, Alex, and I headed out to Ethel M. Chocolate Factory and toured the factory and enjoyed the free chocolate samples. There is also a neat little cactus garden that you can walk through. Just in case you are wondering, the "M" stand for Mars...maybe you have heard of that little company. We stopped for lunch and then drove out to Hoover Dam. For a brief moment, we were back in Arizona before heading back to the airport to fly home. The flight home wasn't too bad. Luckily, Gabe doesn't work tomorrow so we can relax. Check out my other monthly posts here, here, here, here, here, here, here, here, and here. After lunch, I went back to more classes. 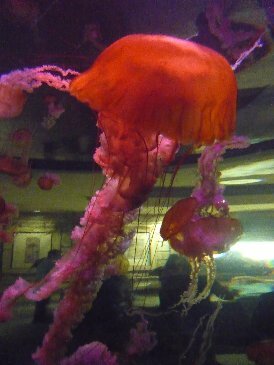 Once they were over for the day, we all went to the Shark Reef Aquarium. Alex liked watching the fish swim around. 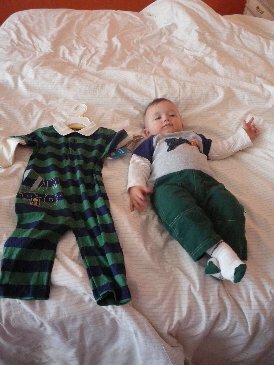 After we had dinner, we put Alex to bed and Gabe's parents watched him while we went to see Criss Angel: Believe. 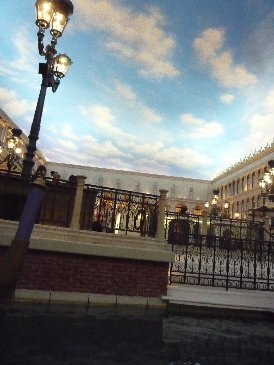 I recently started watching Criss Angel: Mindfreak, so I really wanted to see his show in Vegas. Umm...I think I should just keep watching him on TV...or maybe not. I am glad that I went, but I was a little disappointed. Anyway, Gabe and I had really good time out together. Today was another day full of classes for me. 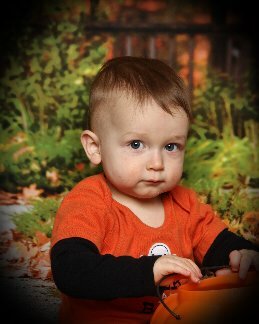 Gabe, his parents, and Alex all went to have their pictures made. This was their Grandparent's Day present. I will post some of the pictures once I get the CD. They also went to the MGM hotel to check out the lions. 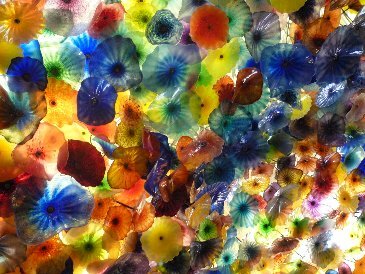 When I rejoined the group, we went to the Fremont Street Experience. We had a yummy dinner at Tony Roma's restaurant and then we watched the laser light show. I also did a little shopping. I bought thank you gifts for the people watching our dogs and I bought us a Christmas ornament. 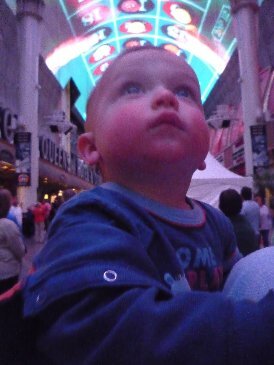 Alex loved the laser light show.